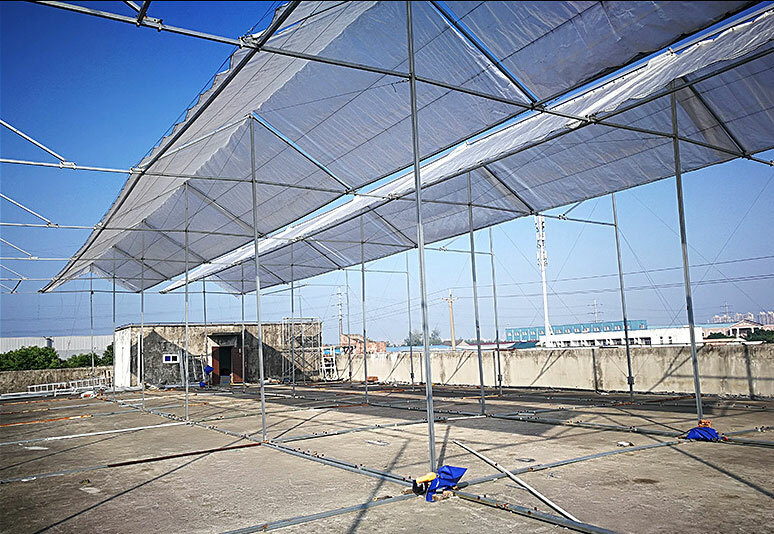 · The clear-span is from 3-30m. 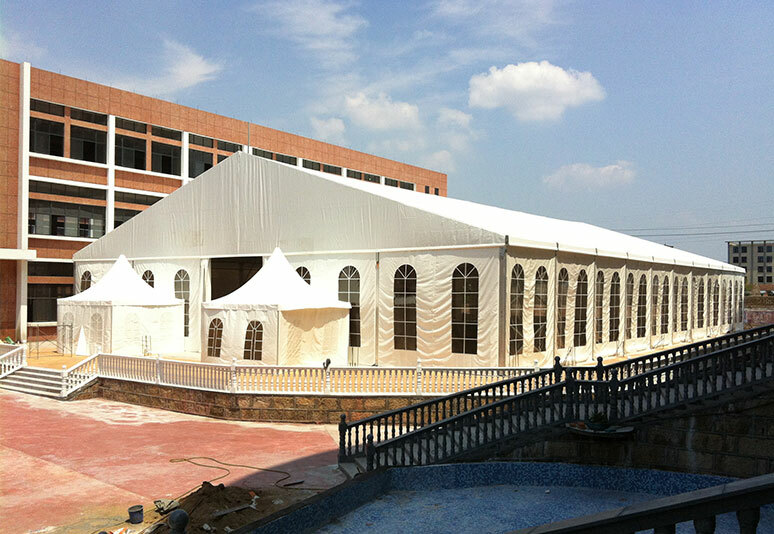 · The length will be from 3m to no limited. 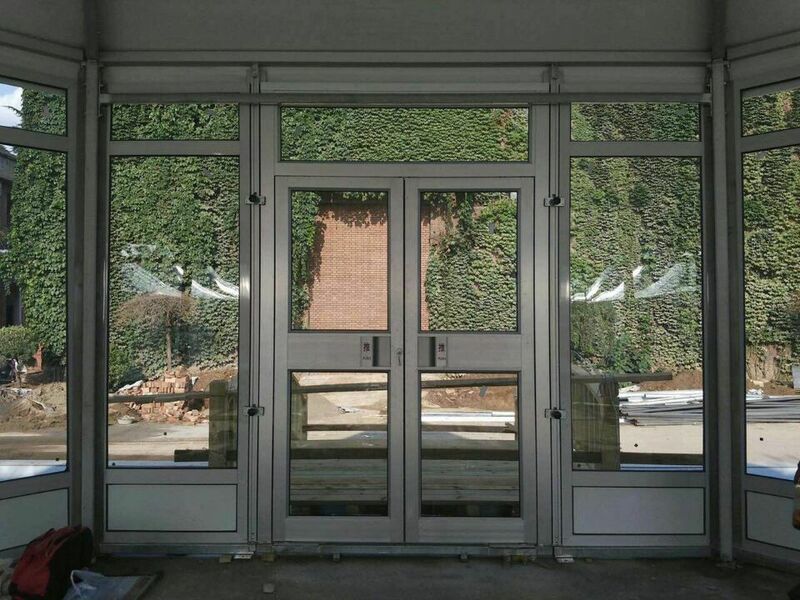 · Frame use hard pressed extruded aluminium 6061/T6(13HW). 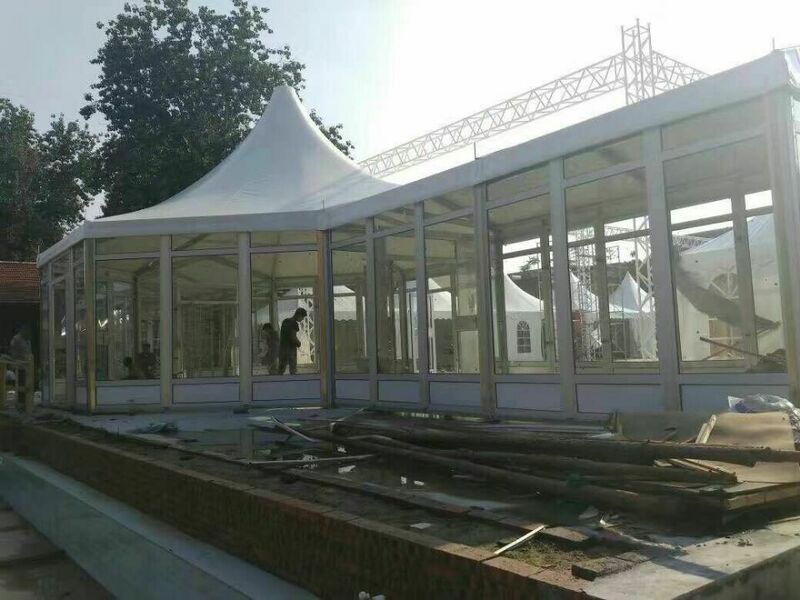 · The Optional Accessories Are: Wooden floor, galss door, glass wall, PVC hard wall, ground anchors, sidewalls with PVC-clear window, rain gutters, decoration ceilings and inside curtain. 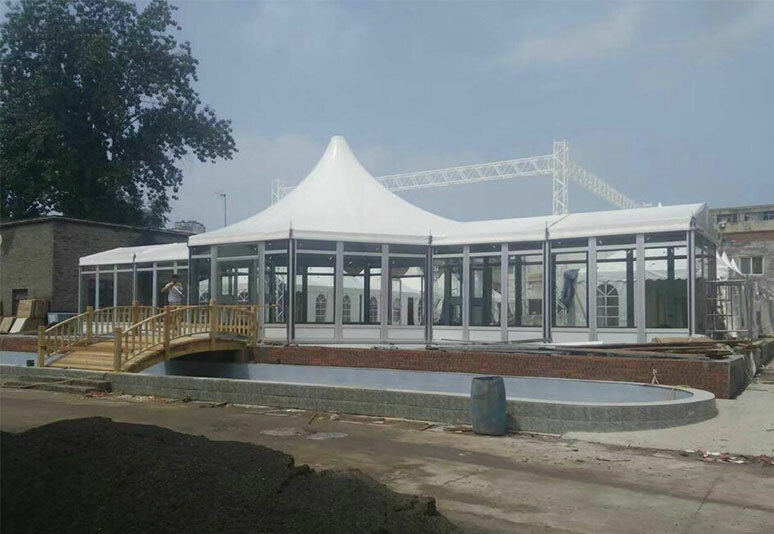 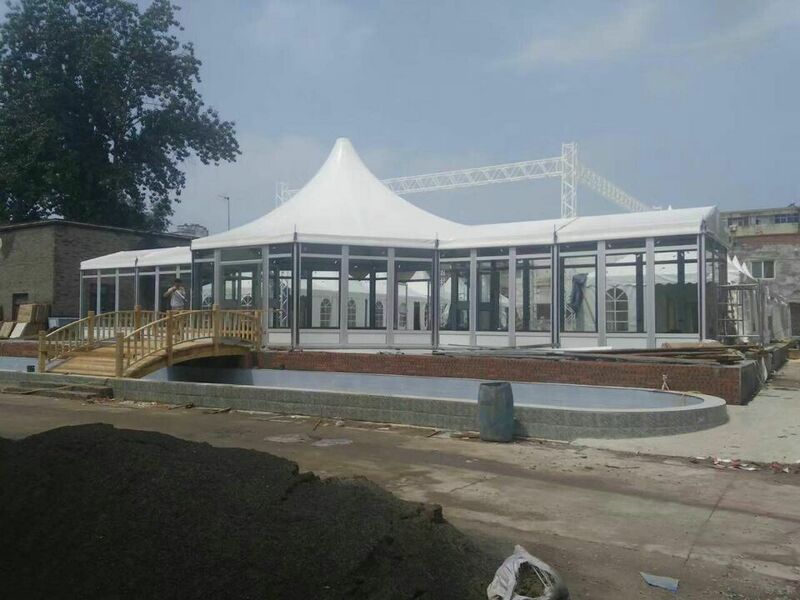 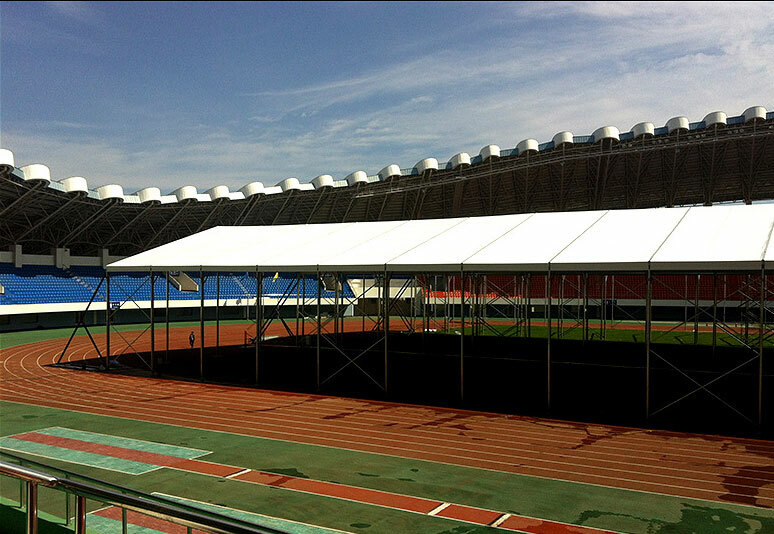 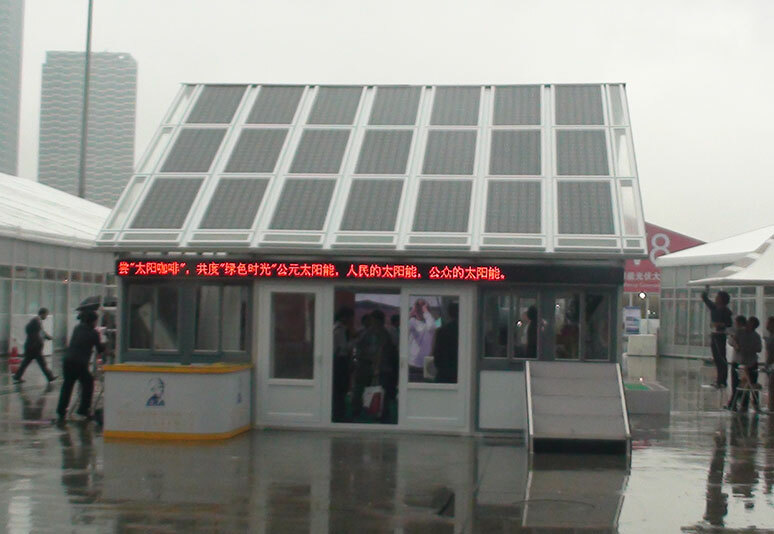 · Widely used for party, outdoor exhibition, outdoor wedding, trade fair, celebration, sports event, military solution, temporary warehouse and workshop.